A county rural mental health clinic in California is set up to provide psychiatric services to the surrounding area but there aren’t enough psychiatrists in the area who are able to travel to staff this clinic morning and afternoons five days per week. An American training program for mental health professionals in China provides classes via telepsychiatry (via video conferencing ) but many of the trainees wish to have their own therapy by experienced therapists who are in quite short supply in China at this time. There are highly functioning productive people in the United states who are in occupations and jobs which often take them out of town or have long commutes to work with irregular work hours. This situation makes it quite difficult for them to arrange psychotherapy with experienced psychiatrists which would require them to come for sessions at least once per week. During the past year I have become involved with devoting part of my practice to telepsychiatry and am now offering therapy in each of these three situations. When I agreed to provide treatment one morning per week to the above mentioned clinic I already had experience in teaching courses online with video conferencing but I had not treated patients with this modality. I knew that some of these patients might have complicated mental illnesses which would require complex medications and that some might have to be hospitalized. I was aware that certain paranoid patients could be suspicious of electronic communications and some patients might require a translator if they did not speak English. I was pleasantly surprised to find how smoothly everything was able to run. A mental health nurse is in the room with the patient and a translator was available when needed. The patients understood the concept that they were being seen by a psychiatrist in another city via video communications. We had a clear face to face discussion and the patients seemed as comfortable as in any other setting in bringing me up to date on their symptoms. I had access to a very sophisticated confidential electronic medical record where I could record my findings and check the observations of any other visits that the patient had at this clinic. I could refer the patient for lab tests as well as to a primary care physician. I also could make referrals to other mental health professionals connected to this clinic who could do individual, family or group meetings with the patient. I prescribed medication directly through a very efficient electronic prescribing system, which electronically connects to every pharmacy in the state. If needed I could alternately fax a prescription or make a telephone call directly to the pharmacy. On the few occasions where a patient needed an immediate hospitalization I could arrange that and provide the referral information needed by the admitting doctors. It has been a very gratifying experience to spend this time providing this needed service. 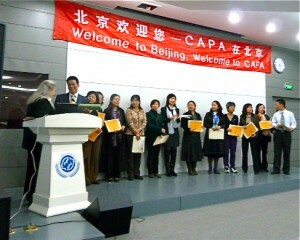 For the past year I had been teaching as part of the Chinese American Psychoanalytic Alliance (CAPA),a very innovative program founded by a friend and colleague Dr. Elise Snyder.This program uses video conferencing mostly by Americans who provides high quality training to mental health professionals in China who previously had very limited access to this type of training. The program has grown and become quite in demand by young Chinese professionals embarking upon a career in providing mental health treatment in China. One year ago I participated in study tour to China with CAPA where I had an opportunity to give a few lectures and also witness the first graduation from this program which was held in Beijing. In conjunction with such training, it has been common for the trainees to arrange their own personal therapy. Unfortunately for a variety of reasons, there has been a lack of therapists who could offer such treatment to the trainees in China. Many of the Americans who have been teaching in this program have offered to treat such a Chinese trainee via telepsychiatry ( video conferencing) as did I. Due to the wide disparity in income between Americans and most Chinese, such treatment has to be offered at fraction of the usual fee received by American therapists in the United States. The trainees usually speak English quite well but there are at times interesting challenges related to the nuances of the meaning of words as well as in understanding various cultural differences. The fact of there being a “ one child policy” in China means most of the trainees have grown up as an only child which has important psychological significance. Most Americans are not familiar with the Chinese concept of “shame” which reassembles but is quite different than “depression” which can be an important part of the childhood experience of growing up in China. Participating in this program as a therapist has also been a gratifying and interesting experience which I am pleased to continue. The third situation which I described above, reflects an anticipated shift in the attitudes of many Americans towards technology and psychotherapy. This change, I believe, is taking place in both patients and therapists. I practiced psychiatry in Manhattan as well as in a suburb of New York City and more recently now in Los Angeles. I have seen many sophisticated patients who chose their psychiatrists by referrals from trusted physicians or friends and would rework their schedules to make regular sessions, often in the early morning or evenings. People tended not to change jobs very often and it was common to have an entire course of therapy with one therapist. Now days people commonly choose their psychiatrists after a careful investigation of their credentials and background online. Since the Internet is used for obtaining other important information it seems natural for so many people to rely on the Internet and feel comfortable in evaluating information available on it. It is a known fact that people are changing jobs much more frequently, even in higher paying positions. Therefore, one can’t be confident that a therapist in one location will be convenient to see at a later date. It seems that time is even at a greater premium than it was in the past. Commuting time is longer especially in a city such as Los Angeles and work environments frequently require people to be quite flexible. 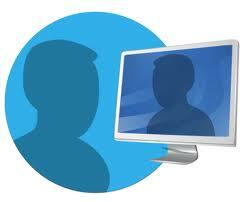 This means working at home at times, traveling when needed and irregular hours. Certain occupations such as the entertainment industry in Los Angeles requires long periods of time out of town as does pilots and airline personnel to name just a few. There is increasing comfort with modern technology illustrated by the growth of the use of video conferencing in business and education and the personal use of texting, Skyping , Facetime etc. Therefore it is inevitable that there will be a shift in the practice of medicine to use more telemedicine and for psychiatrists to use increasing amounts of telepsychiatry. 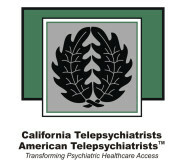 Therefore, I was very interested when the California Telepsychiatry Group (also now American Telepsychiatry) ,who were running the services for the mental health clinic described above, asked me if I would be interested in devoting some time to seeing private patients with their group. I spent some time talking with their Director Dr. John Schaffer and I was impressed how they have arrange their video conferencing, electronic records and electronic prescribing to be HIPPA compliant (meaning state of the art confidentiality techniques) . They had addressed the various legal, ethical and questions of malpractice insurance and were carefully vetting the psychiatrists who would work with them. In addition they set up a very novel and interesting “meet and greet system” where potential patients, at no cost, could have a preliminary 10-15 minute telepsychiatry meeting with any of the psychiatrists available for treatment . They could therefore review the credentials and experience of potential therapists, as well as meeting them, before they decided to enter into treatment. I am very pleased to now to be connected to an entity which I believe is on the cutting edge of a system for providing quality psychotherapy with this modality. I suspect in 10 years from now or less, people will look back on the three examples which I described above and see them all as every day occurrences in the delivery of mental health services in this country and throughout the world.